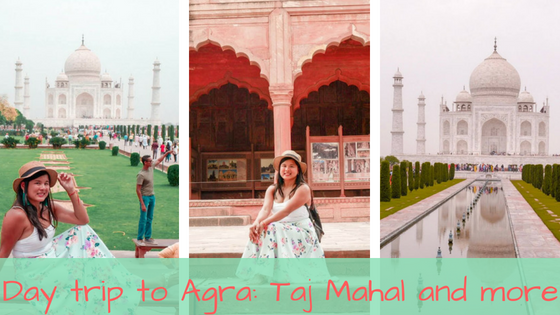 Agra is one of the most visited cities in India, home to many popular tourist destinations such as the Taj Mahal, Agra Fort, Akbar’s tomb and many other interesting destinations. 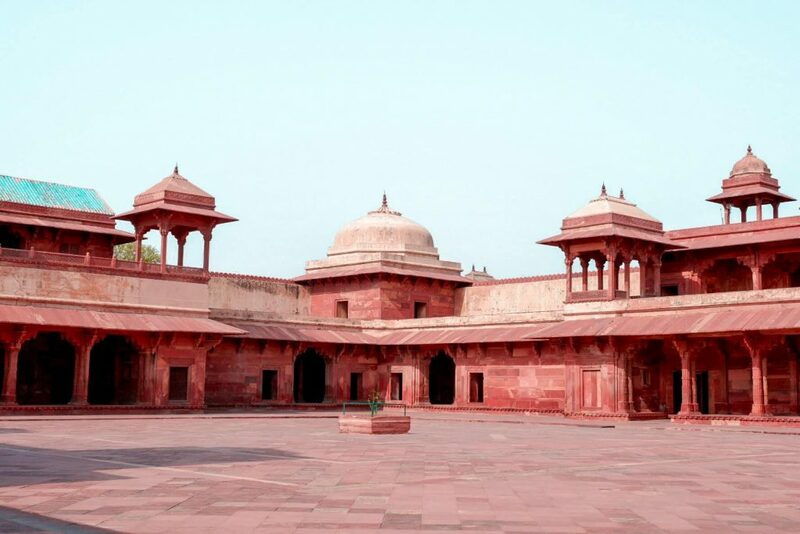 I went to a day trip in Agra from Delhi. Here are things that I visited and my opinion about it. 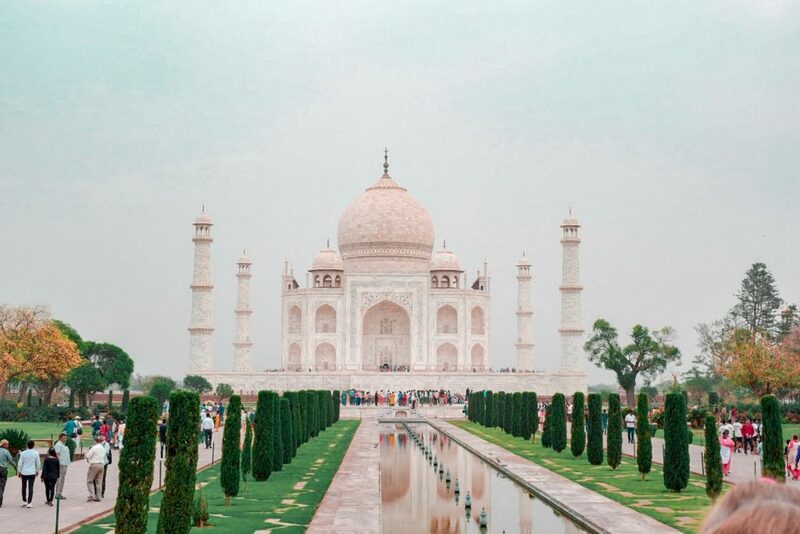 The Taj Mahal is one of the immediate things people think of when they hear the word, “India”—it comes as no surprise, given that it is one of the most popular tourist destinations in the South Asian country. Not only that, but it also has an interesting history. The Taj Mahal was built for Shah Jahan’s wife, Mumtaz Mahal, as a dedication of his love for her. It is also a tragic story, given that his wife died during childbirth. The view from outside is very pretty, you can just stop and admire the intricate architecture made up of white marble for hours and hours. It took a whole 22 years to complete the structure, and its unique and beautiful design makes it one of the most beloved figures in India. 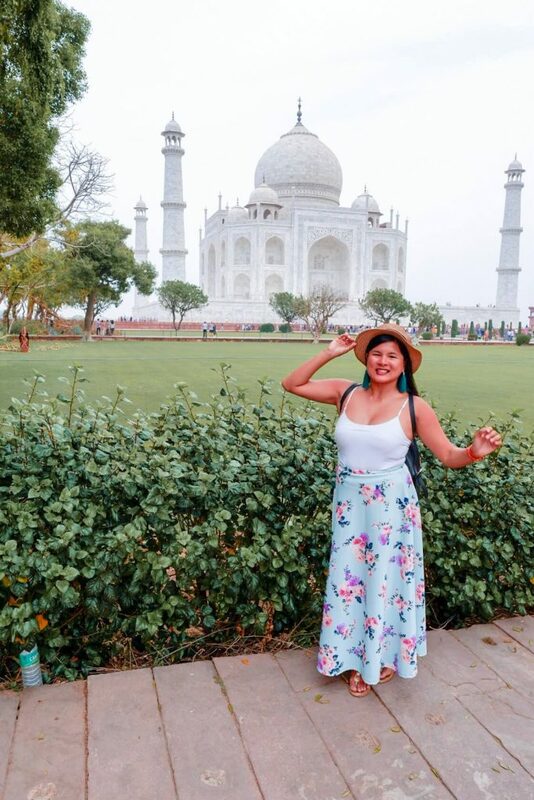 When visiting, keep in mind that the Taj Mahal will always most likely be overflowing with tourists—locals and foreigners alike. It was so crowded, and everyone was just pushing at each other in order to get around. If you want to get a better feel for the Taj Mahal and its history, you can get yourself a guide and then tip him what you want. The car dropped me off near the Taj Mahal, and we rode a rickshaw which cost us 50 rupees for a one-way tip. The distance was walkable but the heat was particularly intense that day, so we decided to opt out of that. The entrance tickets for foreigner’s costs 1000 rupees while Indians, on the other hand, pay 30 rupees. 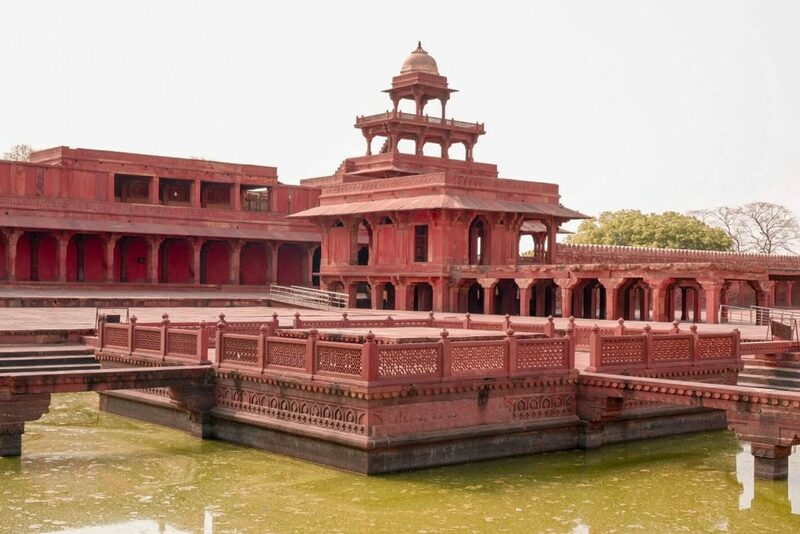 Keep the ticket because you can get a 50 rupees discount in Fatepur Sikri, a nearby town and another great destination just around an hour away from the Taj Mahal. Shoes are not allowed inside the Taj Mahal but you are given plastic shoe covers so you don’t have to go through the trouble of taking off your shoes. Snacks and food are also not allowed inside—there are lockers outside where you can leave those things. Although the sight and walk from the outside was wonderful, the inside was not so much. Photographers kept on asking me if I wanted to take a picture, it was 60 rupees per click of a photo for just a digital copy. Once you enter, you go in to see the king’s tomb. There were lots of tourists and guards were constantly whistling for people to get a move on, and all you can feel is people pushing around one another to get to the circle around the king and queen’s tomb. It wasn’t all that exciting and very noisy. Not to mention, the queue to get inside was super long. I even saw this one girl who looked pale and unwell—probably due to the heat—but the guards didn’t seem to care, they kept on rushing her, pushing along and screaming at the crowds. I complied and walked around, thinking, what the hell am I even inside for if I can’t appreciate any of the sights and historical sounds. 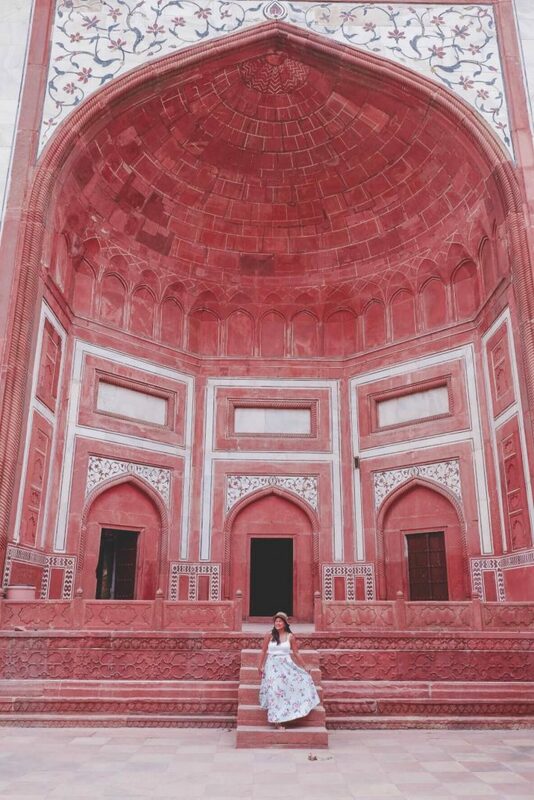 Perhaps the outside was a lot better than the inside—this experience was underwhelming for me, and I honestly loved Ashkardham in Delhi more than my experience at the Taj Mahal. 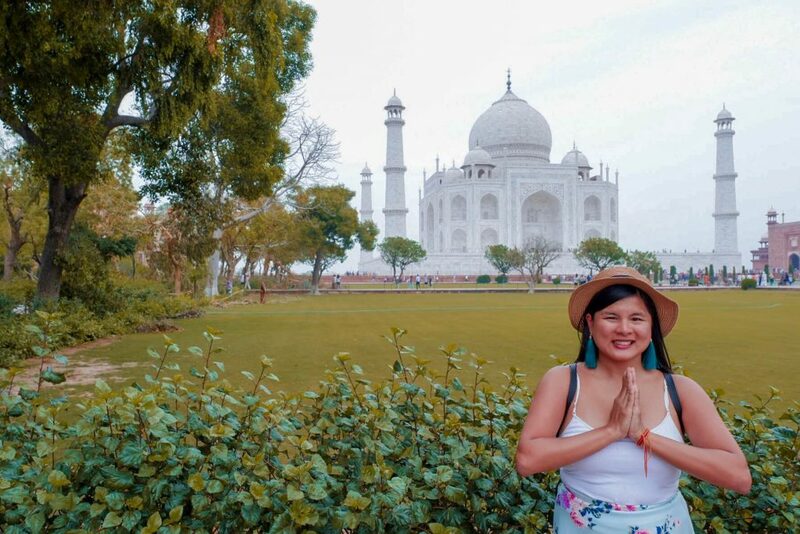 I can admit, however, that the Taj Mahal makes for a really good photo. A good tip is to take one from across the river. 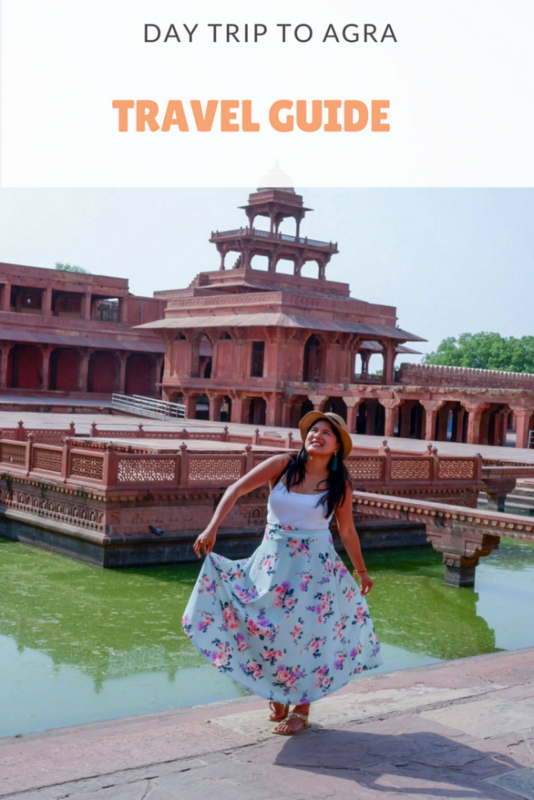 The Fatepur Sikri is a UNESCO World Heritage sight known for its rich history—the small town was built during the late 16th century by Emperor Akbar and is filled with amazing architecture of various monuments, temples, and other buildings. The parking area was rather far so my driver dropped me off at a nearby bus stop which would take me to Fatepur Sikri—it only cost me 10 rupees. It also dropped me off directly to the destination, so it was a very easy ride. Once you arrive at the fort there will be a plethora of guides. 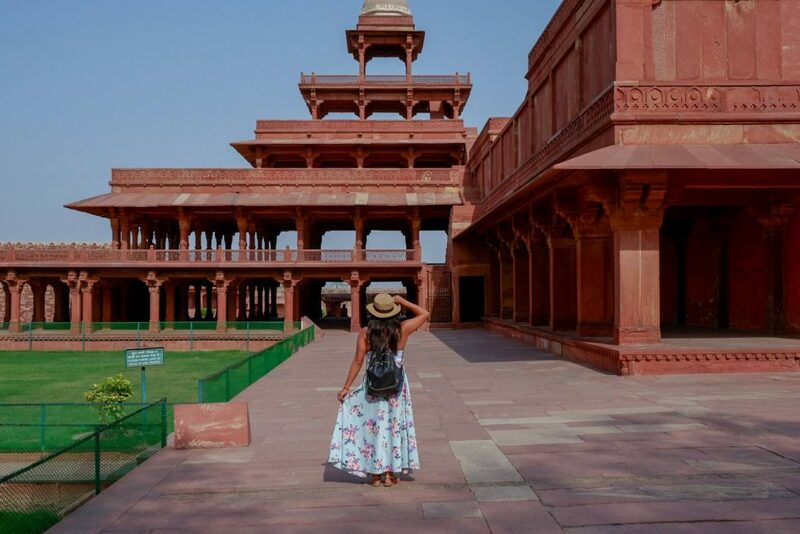 The history and background of Fatehpur Sikri is best understood with a guide, and you’ll be able to look at the different structures with a better comprehension of what’s going on behind it. 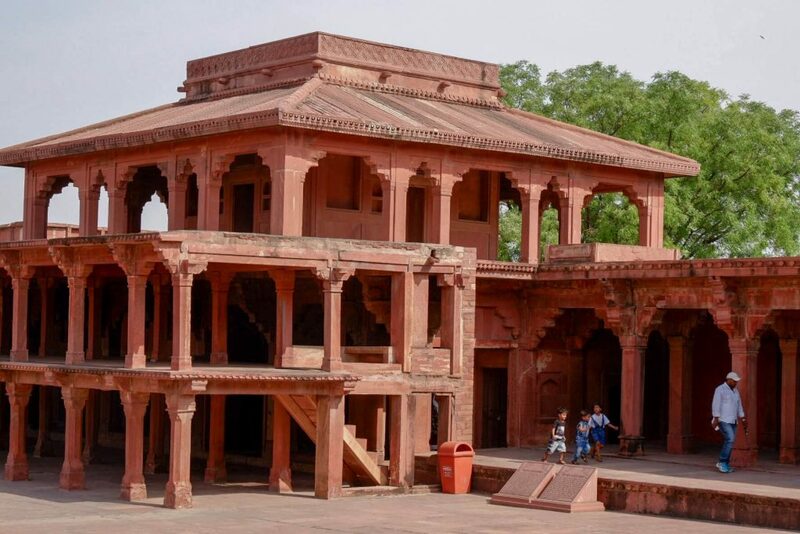 The entrance fee to the fort costs 500 rupees for tourists. Usually Avishkar India arranges a guide to tour me around, but when I got there I wasn’t sure if I wanted one. When I arrived at the counter to pay for the entrance fee, some guy suddenly approached me and insisted on touring me around. Initially, I kept refusing but he was relentless and wouldn’t leave me alone. You see, I’ve been told my natural face is a smiling face, so I need to look meaner when I said no—I kept saying no but yet he still wouldn’t leave. I eventually conceded because I was alone anyway and needed someone to help me take pictures. He explained every part of the different monuments at Fatepur Sikri so maybe it was a good thing he came along. Still, I was a bit hesitant because I felt he was way too touchy and kept on grabbing me to place me in spots for pictures. Don’t get me wrong, I love pictures and love having someone who is more than game to take good pictures, but it was too much. I politely asked him to stop pulling my hands because he was hurting me with his tight grip. I felt comfort in the face that there were guards around in case things went sour. I was generally happy about having someone take photos and explain things to me but I wasn’t very happy with how my guide (which I didn’t want in the first place) was behaving. When we stepped out of the palace, the other guides immediately started screaming at him—apparently, he had cut the line. I wasn’t exactly sure what they were taking about, but there is apparently a guide queue and my guide had ignored the line and insisted he tour me when he saw me at the ticket counter. A lot of people came to the fort in groups—I came in alone, which is perhaps why he suddenly appeared but he had an ID with him so it seemed okay. When I kept refusing his service he insisted, telling me: “The guide is free—it comes with the ticket!” To try and get me to agree. In the end, however, he started asking money for me as his tip but he insisted I give him 450 rupees or more. 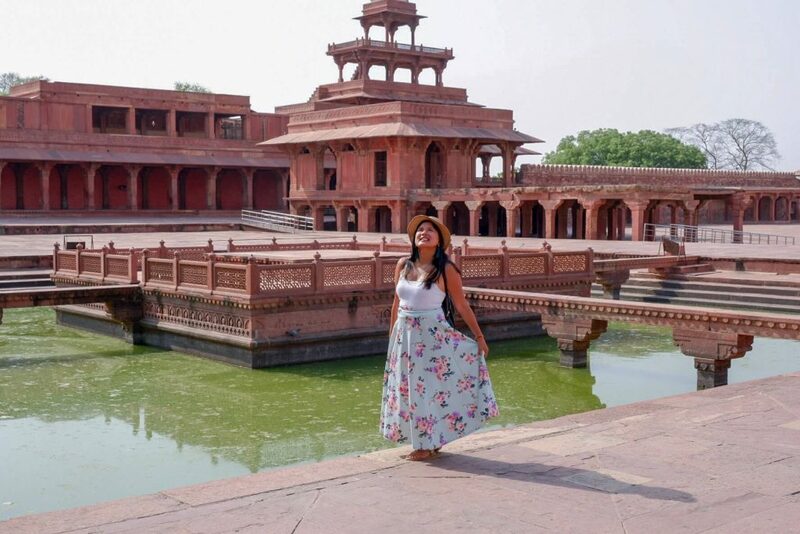 You see, 450 rupees isn’t too bad to pay if I had a good experience but at that point I didn’t have a lot of cash with me—which is why I didn’t ask Avishkar India to arrange a guide for me in the first place. 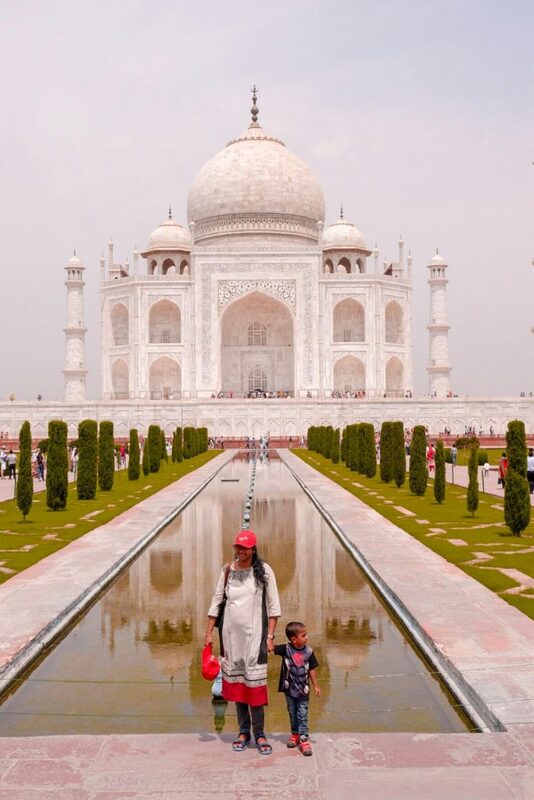 The tickets for the UNESCO World Heritage spots were rather pricey—1000 for the Taj Mahal and 500 for other entrances. I ended up giving him 250 rupees and he asked me: “Are you happy with this?” Referring to his job as a guide when he started hearing the slight annoyance in my voice. It wasn’t that I didn’t want to give him money—I just wanted to save some for dinner and I didn’t have a lot at this point. Overall, the entire experience was very confusing. During my stay in India—both north and south, I honestly enjoyed my whole India trip. I felt kind of safe in the south, and I had to be a little more careful in the north but overall, I still felt safe. I always felt that people wanted selfies with me, and I would let them but it was only ever in Agra I really felt fear, overwhelming, and exhaustion. People were just too pushy, too grabby, I got so exhausted. I literally went back to the car nearly in tears because of my grabby and insistent guide, because of people who just wouldn’t leave me alone. Don’t get me wrong—I’m a people person, I’m always in a crowd. I love people but in Agra it got to be a little too much. My friend said it was because of my natural smiling face and my friendliness that I attract people, but today was the first day that everything was just too much. So, yes, I think I will go back to India. 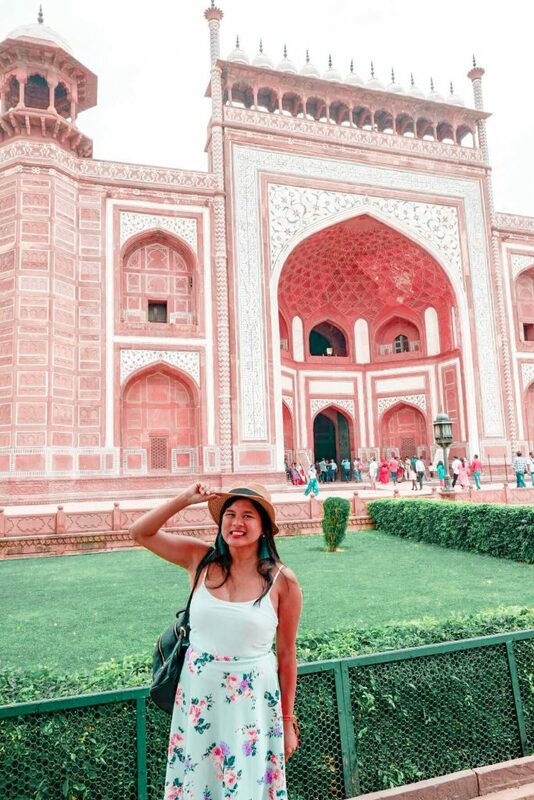 Agra, however, didn’t leave me with such a good expression—the Taj Mahal included. Maybe next time, however, I’ll give it a chance. Although there’s much more of India which I would rather explore.